Let’s look for more evidence about the temple. 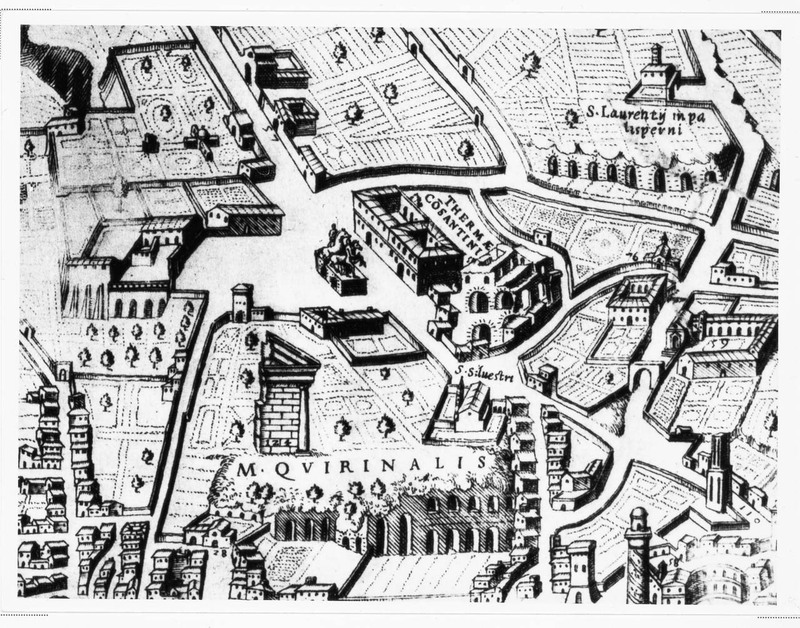 I learn that the ruins of Aurelian’s Temple of the Sun (or possibly Caracalla’s Temple of Serapis) on the Quirinal are depicted in “numerous” 16th century drawings, under the names of the “Torre Mesa” or “Torre di Mecenate” or “Frontispizio di Nerone”. Of course such a claim deserves to be tested – with a Google search! Here are some results. This is infinitely clearer than the black-and-white images that we have all seen. 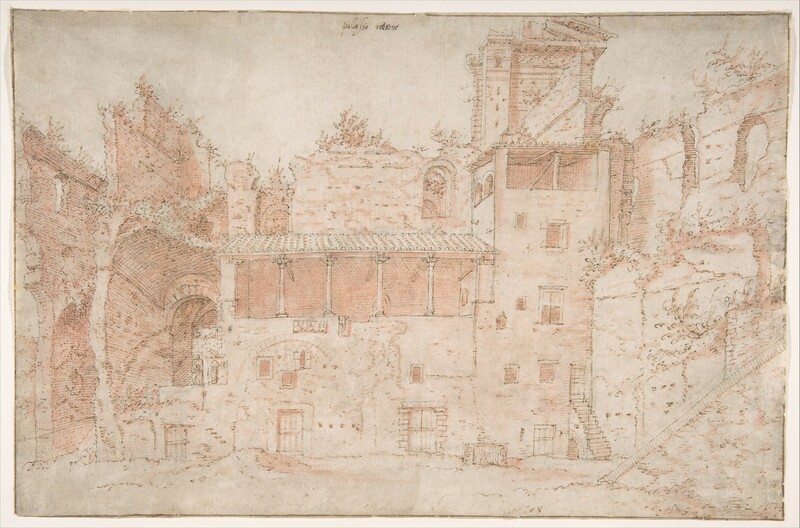 A less clear item is at the Metropolitan Museum of Art in high res here: an anonymous Dutch pen and ink drawing with red wash, 16th century, 22×33.4cm. 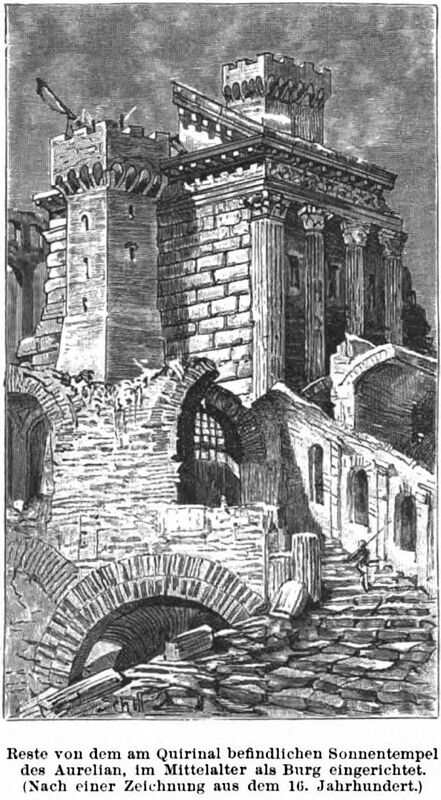 This is labelled “Palazzo Nerone”, which is perhaps the name of the miserable shack erected in the ruins of the stairwell of the temple. 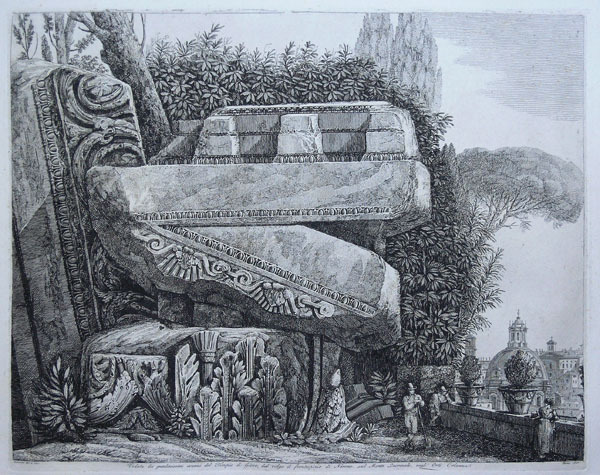 Some of the enormous ruins left in the Colonna gardens may be seen here. I am unclear what this image is, tho. 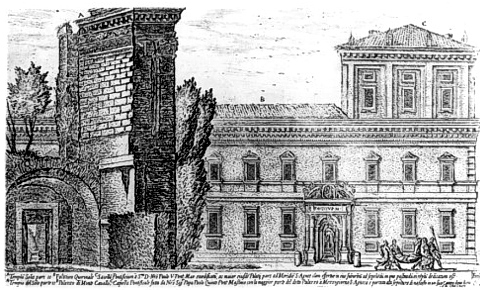 Today I learn that this is “Il Quirinale con frontespizio di Nerone, Aloisio Giovannoli, 1616″. 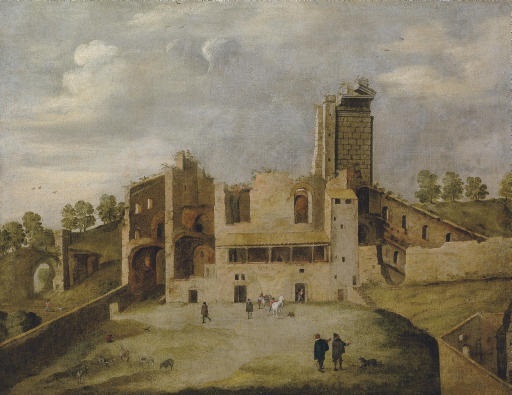 Searching for this, I encounter an Italian blog discussing the removal of the stairs from the temple, to make stairs to the Ara Coeli on the Capitoline, in 1348. And this includes this plan of the temple, clearly showing the stairs! Peruzzi died in 1573. It is frustrating that we do not know where this came from. And I wish I could read any of the writing on this! A treasure all the same. Plainly there is more stuff out there to be seen. 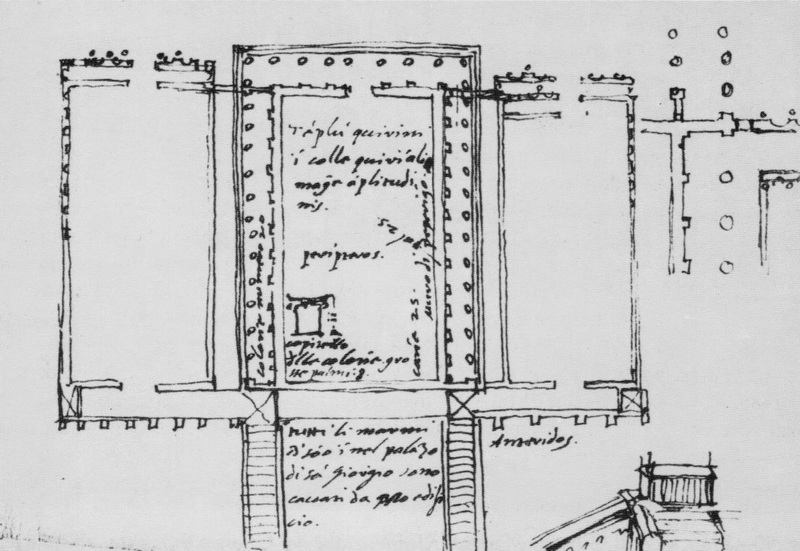 UPDATE: Peruzzi’s drawing makes clear that Palladio’s drawing of the stairs must be fiction. I draw together the real picture here.